The New York Times bestselling author presents the third novel in the bestselling sequel series to The Unwanteds, which Kirkus Reviews called "The Hunger Games meets Harry Potter." For attendees only, Lisa is bringing an extra special secret gift exclusive to the Changing Hands event. TICKET PACKAGE→ Ticket Package 1: $20.53 + fees: One (1) copy of Dragon Ghosts, admission for one (1) person → Ticket Package 1: $24.53 + fees: One (1) copy of Dragon Ghosts, admission for two (2) people. → Ticket Package 1: $28.53 + fees: One (1) copy of Dragon Ghosts, admission for three (3) people. CHECK-IN at the front information counter in Changing Hands Tempe between 6 and 7pm. PICK UP YOUR BOOK at Changing Hands Tempe on event day between 6 and 7pm. CAN'T MAKE IT? Call 480.730.0205 to order a signed copy of Dragon Ghosts and we'll have it signed and reserved for you. We also ship anywhere in the US and to most international locations! 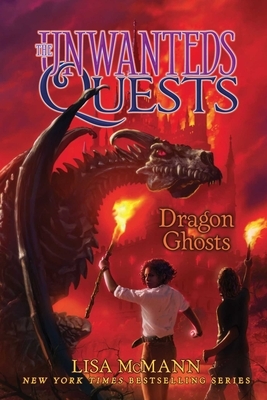 When customers pre-order Dragon Ghosts, they'll get a signed copy of The Unwanteds Quests: Dragon Ghosts by Lisa McMann and receive an exclusive Changing Hands Dragons Ghosts print, a dragon tooth necklace, and more special swag! While supplies last. Ten years after Alex and Aaron Stowe brought peace to Quill and Artimé, their younger twin sisters journey beyond Artimé in Dragon Ghosts. Devastated by loss and hampered by war, Fifer struggles to regroup and continue the search for her twin. Meanwhile Thisbe, pounded by images of Grimere's dark history, contemplates her abandonment and considers leaving Rohan behind in a risky move that could take her home…or to her death. 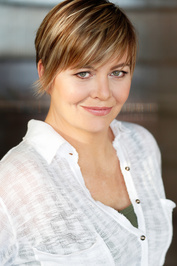 LISA MCMANN is the New York Times bestselling author of the middle grade dystopian fantasy series The Unwanteds, the YA paranormal Wake trilogy, and several other books for kids and teens. She lives with her family in the Phoenix area.